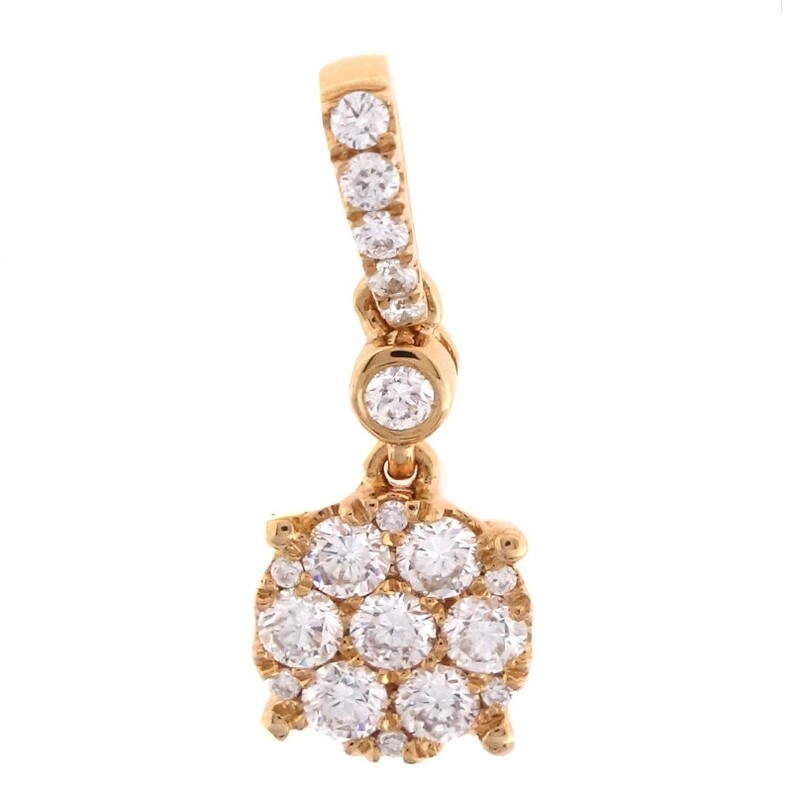 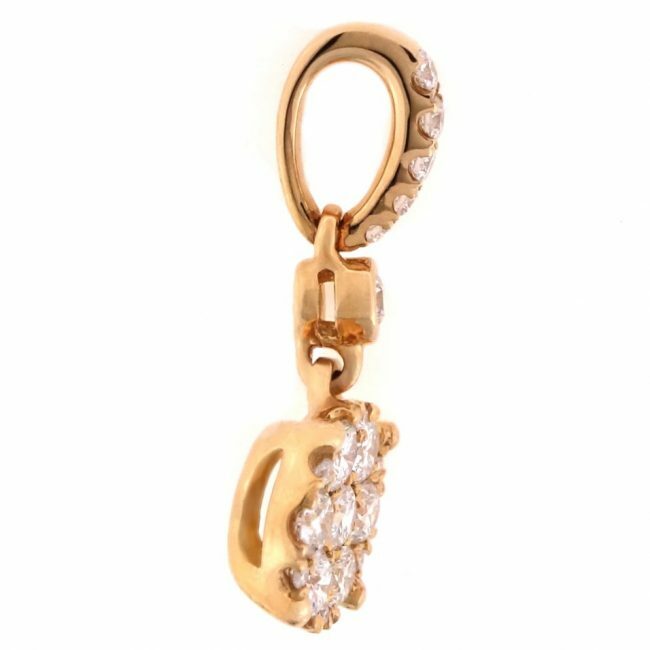 This stunning diamond pendant is made of 18k rose gold. The diamond pendant you are currently viewing is a fine jewel that will dazzle those who lay their eyes on it and features an antique allure. The diamonds on this diamond pendant have been expertly set by hand by an experienced setter using a technique involving a microscope, which ensures a top level finish.